This is written by the superintendent of the land, experienced in his office. The offspring of a scribe of the Beloved Land. The Superintendent of produce, who fixes the grain measure, who sets the grain tax amount for his lord, who registers the islands which appear as new land over the cartouche of His Majesty. The beginning of the instruction about life, The guide for well-being, All the principles of official procedure, The duties of the courtiers; To know how to refute the accusation of one who made it, And to send back a reply to the one who wrote, To set one straight on the paths of life, And make him prosper on earth; To let his heart settle down in its chapel, As one who steers him clear of evil; To save him from the talk of others, As one who is respected in the speech of men. The officials of the court had to know the principles of official procedure. They considered it their duty to set one straight on the path of life. They understood that they were the moral light of the society. Society lived morally because they did. Do not pay attention to a person, Nor exert yourself to seek out his hand, If he says to you, “take a bribe,” It is not an insignificant matter to heed him; Do not avert your glance from him, nor bend down your head, Nor turn aside your gaze. Address him with your words and say to him greetings; When he stops, your chance will come; Do not repel him at his first approach, Another time he will be brought (to judgment). He explains how to deal with one who seeks to offer you a bribe, don’t repel him at his first approach. Gather enough evidence of his attempts to corrupt you and then bring him to judgment. This approach to deal with corruption was given more than 3000 years ago. It is still actual to us today. History attests to the fact that Kemet was one of the most just societies that ever existed. The tenor of their literature, its philosophy pregnant with such humanity is an attestation of that fact. The mark of a principled person especially one who is a leader in society is to be honest with one’s self and accept one’s mistakes. It takes courage to do that. 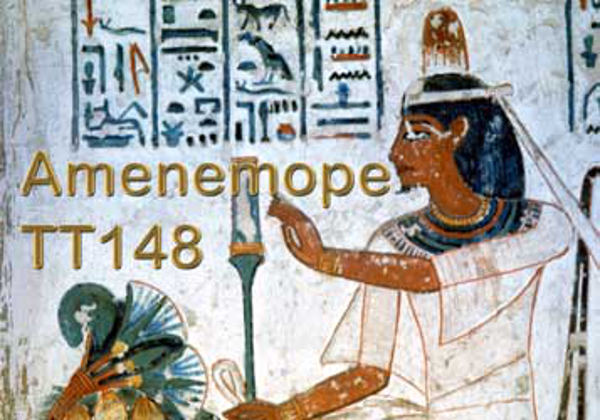 Let us see what Amenemope says on this account. Do not say, “I am without fault,” Nor try to seek out trouble. Fault is the business of God, It is locked up with his seal. There is no success in the hand of God, Nor is there failure before Him; If he turns himself about to seek out success, In a moment He destroys him. Be strong in your heart, make your mind firm, Do not steer with your tongue; The tongue of a man is the steering oar of a boat, And the Lord of All is its pilot. A leader or the elite in society needs to be strong in his or her heart and make their minds strong. He makes the important point not to steer with the tongue. Action speaks louder than words. You lead with action not with words. The prefect, the nobel lord Ptah-hotep, says…. Who will cause me to have authority to speak, that I may declare to him the words of those who have heard the counsels of former days? And the counsels heard of the gods, who will give me authority to declare them? Cause that it be so and that evil be removed from those that are enlightened; send the double . . . The majesty of this god says: Instruct him in the sayings of former days. It is this which constitutes the merit of the children of the great. All that which makes the soul equal penetrates him who hears it, and that which it says produces no satiety. Be not arrogant because of that which you know; deal with the ignorant as with the learned; for the barriers of art are not closed, no artist being in possession of the perfection to which he should aspire. But good words are more difficult to find than the emerald, for it is by slaves that that is discovered among the rocks of pegmatite. It has caused me on earth to obtain one hundred and ten years of life, along with the gift of the favor of the Pharaoh among the first of those whom their works have ennobled, satisfying the Pharoah in a place of dignity. A return to an African philosophy as espoused in the works of the pharaonic elite can give a reconstructed African elite the courage, self confidence and the vision to change Africa, to make it even greater than Kemet was. This can be done and will be done. Excellent article, our people need more of this. This is only the begininning, we've just started.